Paintball chest protector has lightweight & breathable feature, but can provide you effective chest protection in games and comfortable to wear it. Adjustable waist and shoulder strap tactical chest protector vest, tight or loose depends on your demand. Padded chest protector vest using 600D Oxford fabric, durable and long service time. Considerable for your outdoor games: hunting, fishing, paintball or other sports training activities. 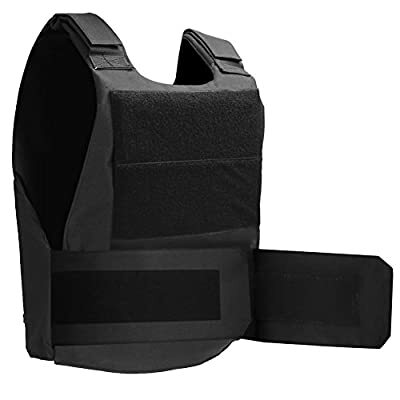 Package: 1x protector vest for tall 5.6-6.2ft men & women.